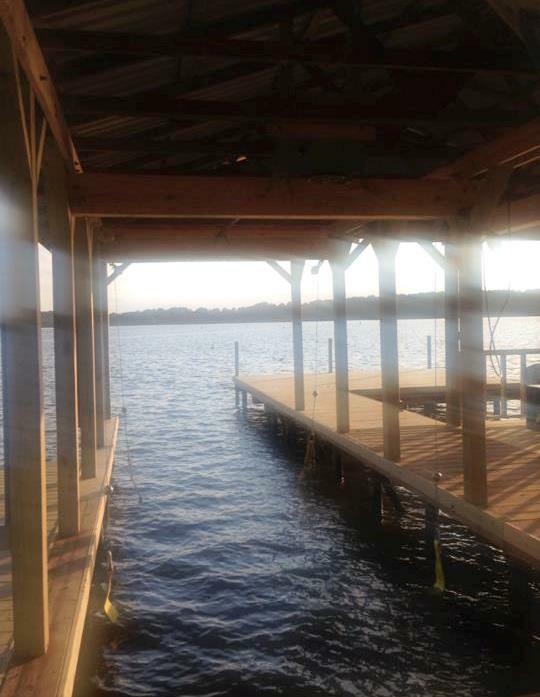 Do you live on one of the many beautiful East Texas lakes? If so, do you need a new home for your boat? 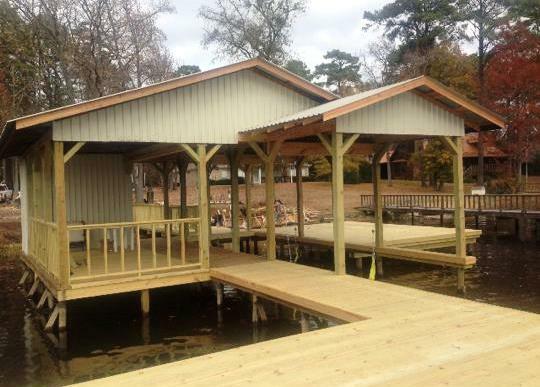 We have experience building boathouses in East Texas — particularly on Lake Cherokee. 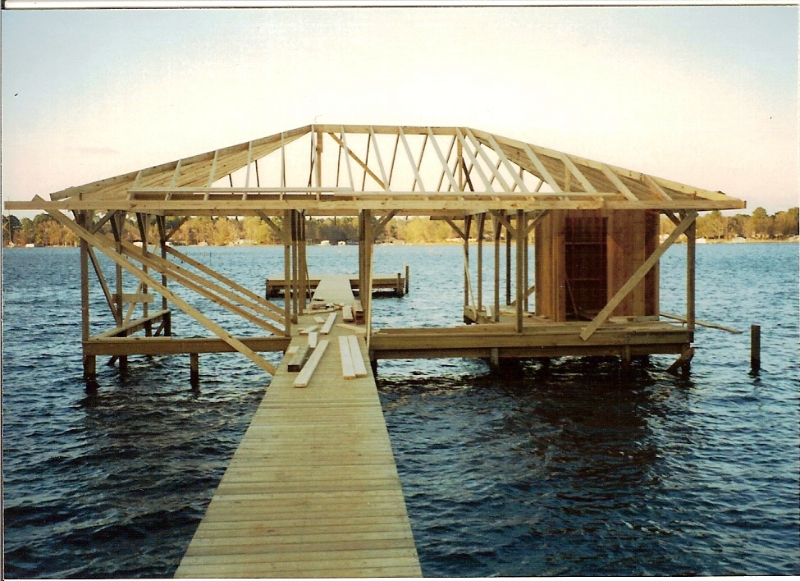 What is important for you to consider when building a boathouse? Of course, you will need to consider your location. 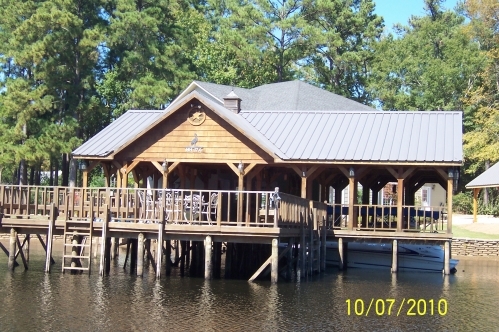 How will you want your boathouse situated. What view is best? Consider how the sun will affect activities on your boathouse. Water levels will also need to be considered when planning your boathouse. Secondly, think of how you plan to use your new boathouse. 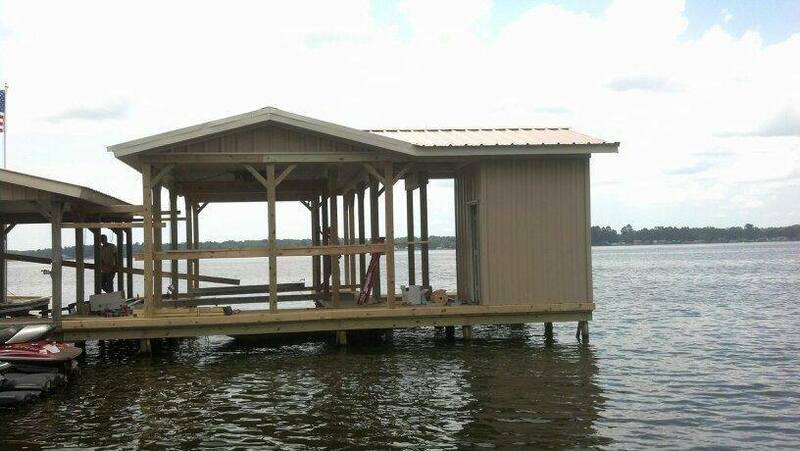 Will it only be a home for your boats and other water craft? 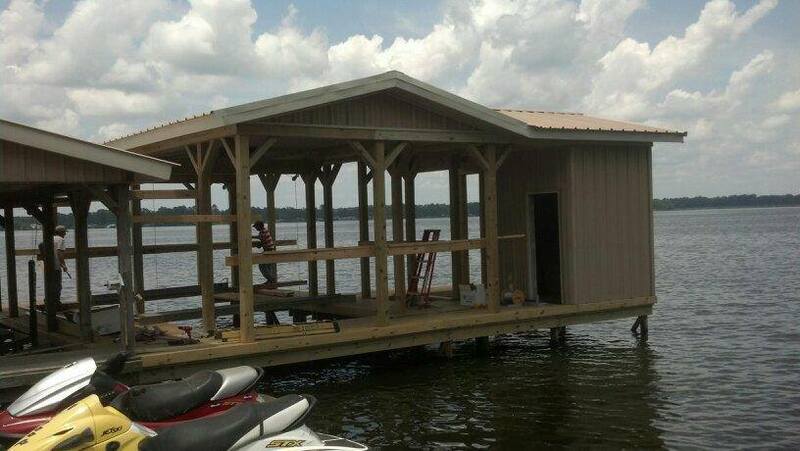 Or, do you plan to use your new boathouse in other ways. Perhaps a swimming area with a slide from one side of the boathouse? 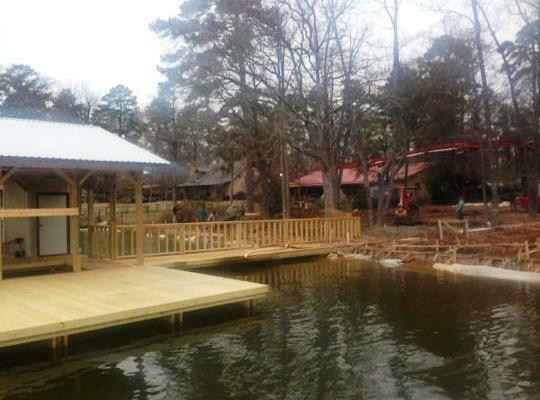 Would you like a sun deck on your new boathouse? A screened-in area for enjoying the view without those pesky mosquitoes? What type of storage will you need? Once these questions have been answered and a boathouse plan chosen it is time to consider a boathouse builder. 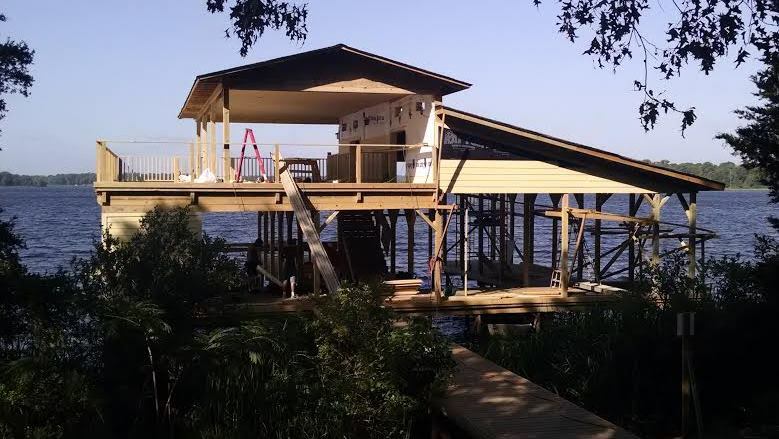 We always build our boathouses with quality materials and workmanship. * Will you want handrails or bench seating? Do you need a pier and not a boathouse? That’s OK. We can do that too! 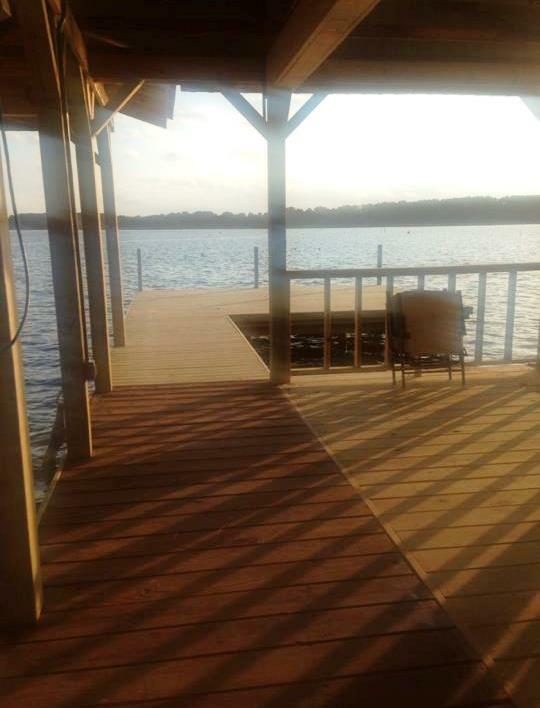 We use the same quality materials and workmanship when building piers. Perhaps you need a retainer wall at water’s edge to keep your bank from eroding. We also build retainer walls. 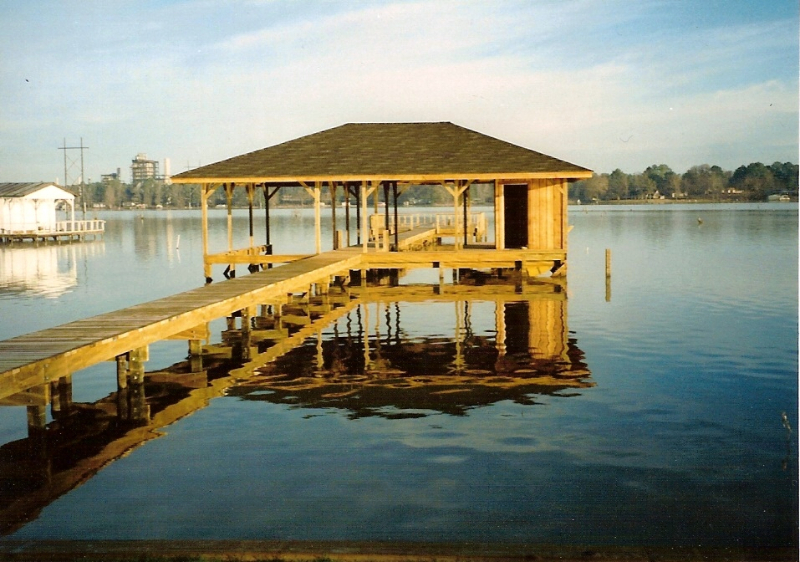 We would love to build you a new boathouse or pier!